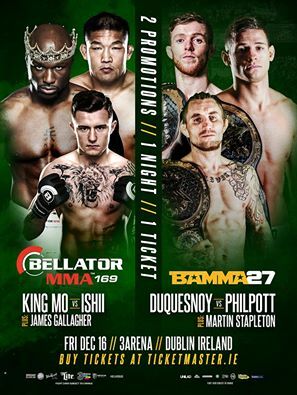 Two of the world’s leading MMA promotions, BAMMA and Bellator have today announced that they will join forces for the very first time to deliver MMA fans a Christmas extravaganza in Dublin on December 16. 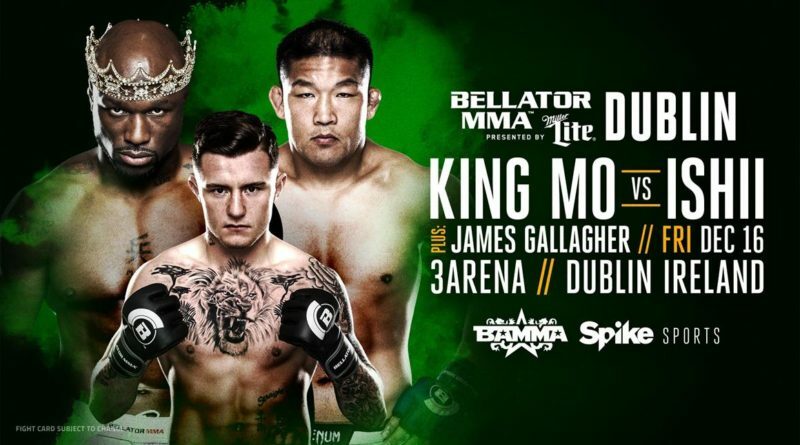 BAMMA and Bellator will co-promote the event at Dublin’s 3Arena that aims to provide fight fans with a show featuring a host of the world’s leading MMA athletes from both organisations, all wrapped up in one event. BAMMA CEO David Green said: “It’s going to be the biggest and boldest MMA show in Ireland this year, as fans get the chance to get up close and personal with MMA superstars from both promotions. For Bellator the event marks the first time they have held an event in Ireland. “Bellator 169: King Mo vs. Ishii” will be headlined by a heavyweight fight pitting“King Mo” (19-5, 1 NC) against Olympic Judo Gold Medalist Satoshi Ishii (14-6-1). Ireland will also have one of its brightest prospects on the card as well, as the pride of Strabane, James Gallagher (4-0) returns home against a yet-to-be-announced foe. Tickets for BAMMA 27 and Bellator 169: King Mo vs. Ishii go on sale at bamma.com, Bellator.com and Ticketmaster.ie on Friday, October 14, with tickets ranging from €35 to 145€.